A continuation and extension of Introduction to the Principles of Bibliographical Description (G-10), this course is based on the intensive examination of a representative range of books from the c16-c19. The goal of the course is to deepen students’ familiarity with the physical composition of books; to gain further experience in the use of Fredson Bowers’ Principles of Bibliographical Description; and to consider critically some of the uses of Bowers’ method (and its limitations) in the production of catalogs, bibliographies, critical editions, and histories of books and reading. The method of this course is essentially the same as that of G-10, Introduction to the Principles of Bibliographical Description: the close examination of books printed from ca. 1600-ca. 1875, i.e. the second century of the hand-press period through roughly the first half century of the machine-press period. The course picks up where the introductory course leaves off: it is designed to extend and deepen students’ practical grasp of the formulary developed in Bowers’ Principles of Bibliographical Description as the distillation of a method for analyzing and describing—for seeing—the physical book. The course will also cover the analysis and description of such elements as typography, paper, contents, plates, binding, &c., that can only be dealt with briefly in an introductory course. Its basic purpose is thus a systematic presentation of the elements of a full-dress bibliographical description. Lectures and discussion will also address such matters as the tailoring of description to various purposes, economizing bibliographical effort by way of the degressive principle, judging the integrity of the artifact, uses and abuses—all grounded on the principle that the more books you see, the better you know each book. The course will make considerable use of the Rare Book School laboratory collections, with special emphasis on its collection of bibliographies and accompanying examples. It is expected that the course will be useful to (interalia) scholars engaged in the production of a descriptive bibliography or similar project, collectors and dealers who routinely read or write sophisticated catalogs, and librarians whose duties require the ability to interpret and/or create complex bibliographical descriptions. In their personal statement, applicants should describe any relevant vocational or avocational work or projects. The instructor will endeavor to adapt course materials and discussion to particular topics and periods, as well as professional interests, indicated by students in their applications. This course is restricted to students who have had some formal course work in descriptive bibliography. All applicants—especially those who have not taken the RBS course G-10, Introduction to the Principles of Bibliographical Description—should explain in some detail their previous training and experience in the field. Richard Noble teaches this course. 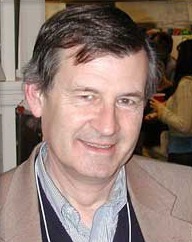 Richard Noble is Rare Books Cataloguer at the John Hay Library, Brown University. He is co-author (with Joan Crane) of Guy Davenport: A Descriptive Bibliography 1947-1995 (1996), and co-editor of The Dramatic Works of George Lillo (1993).